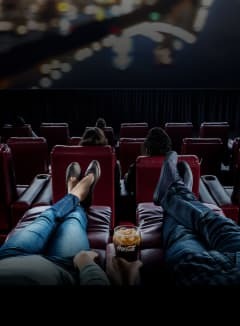 Just kick back and enjoy the show! 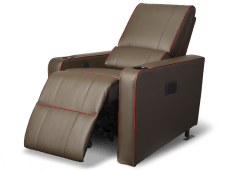 At Dine-In Theatres, you’re invited to put your feet up in one of our AMC Signature Recliners featuring a tray table. 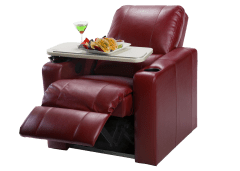 Relax into power recliners & enjoy great meals! 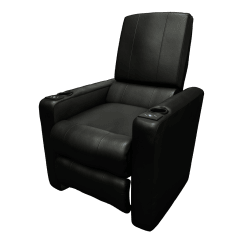 Complete with personal swiveling tables, our signature recliners are waiting for you—sit back & eat up! 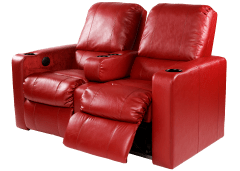 Experience the coziest, most luxurious seating around when you sit back with our full recliners! Relax & unwind like never before when you leave the drama to the screen and sink into easy comfort! 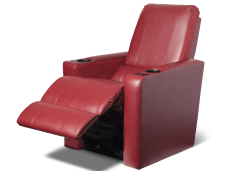 This sleek, top-of-the-line AMC Signature recliner features seat rumblers that reverberate with the action. Only available in Dolby Cinema™ auditoriums.